A series of cuts since the Coalition government curtailed the welfare state, activating this way a range of existing economic grievances. As a result, in districts that received the average austerity shock UKIP vote shares were up, compared to districts with little exposure to austerity. Thiemo Fetzer writes that the tight link between UKIP vote shares and an area’s support for Leave implies that, had austerity not happened, the referendum could have been in favour of Remain. Following the EU Referendum in 2016, a rich but mainly descriptive literature emerged studying the underlying correlates of Brexit. An important cross-cutting observation of such works is that Leave voting areas had been “left behind” from globalization, with the local population having been particularly reliant on the welfare state. 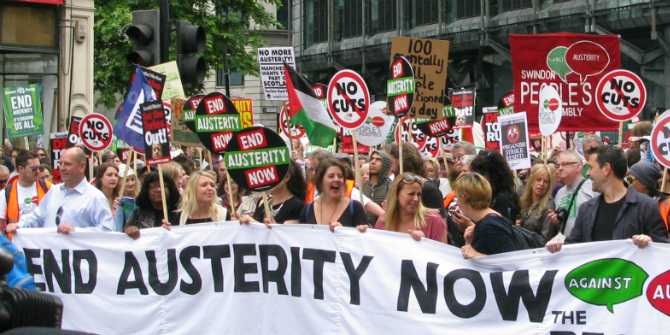 In a new paper, I bring together broad and comprehensive evidence which suggests that austerity measures since 2010 may indeed have had a substantive impact on the outcome of the vote. Image by Peter Damian, CC BY-SA 3.0. 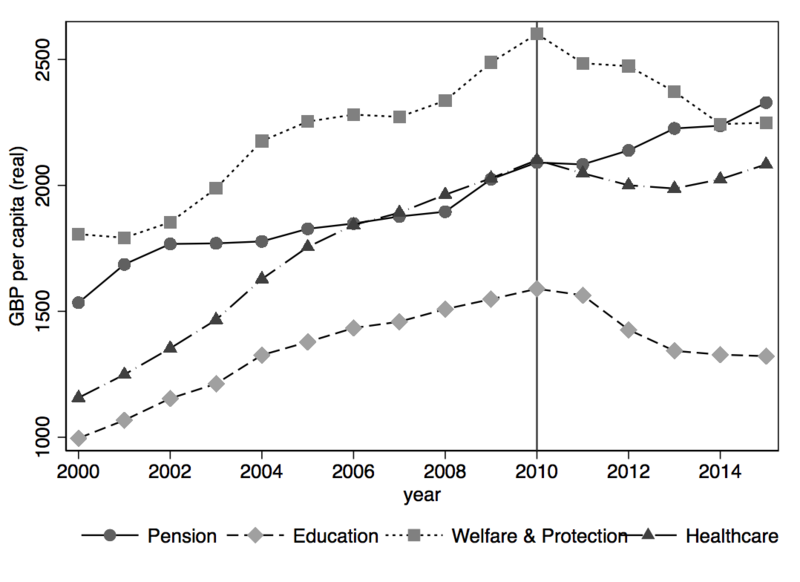 The austerity-induced reforms of the welfare state since 2010 have been extensive. Aggregate real government spending on welfare and social protection decreased by around 16% per capita; spending on healthcare flatlined; all while the ageing profile of the population was increasing demand for healthcare services. Further, spending on education contracted by 19% in real terms, while expenses for pensions steadily increased, suggesting a significant shift in the composition of government spending. At the district level, spending per person fell by 23.4% in real terms between 2010 and 2015, varying dramatically across districts, ranging from 46.3% to 6.2% with the sharpest cuts in the poorest areas. Figure 1 – Overall public sector spending in GBP per capita (real). Data are from HMRC and ONS. In 2013, it was estimated that many of the measures included in the Welfare Reform Act of 2012 would, on average, cost every working-age Briton around £440 per year. 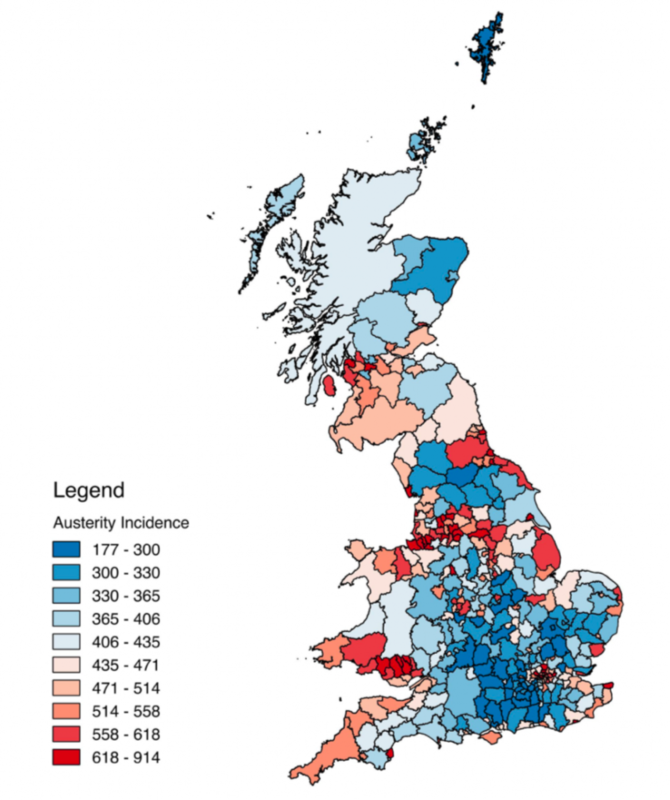 The impact of the cuts was far from uniform across the UK as is shown in Figure 2. It varied from £914 in Blackpool to just above £177 in the City of London. The overarching observation was that the most deprived areas where most severely affected by the cuts, as they had the highest numbers of people receiving benefits to begin with. Figure 2 Distribution of austerity shock. The measure is expressed in financial losses per working-age adult per year. Exposure to austerity had sizable effects, increasing support for UKIP across local, Westminster, and European elections. Estimates indicate that, in districts that received the average austerity shock, UKIP vote shares were on average 3.6 percentage points higher in the 2014 European elections and 11.6 percentage points higher in the most recent local elections prior to the referendum, compared to districts with little exposure to austerity. The tight link between UKIP vote shares and an area’s support for Leave implies that Leave support in 2016 could have been up to 9.5 percentage points lower and, thus, could have swung the referendum in favour of Remain, had the austerity shock not happened. While working with aggregate data is appealing, it also comes with some caveats, as the estimated effects could be masking a host of other mechanisms. Yet, the political effects of austerity are also estimable when turning to individual level panel data. Individuals who were exposed to a set of welfare reforms shift to UKIP once they had experienced the benefit cut. One example of a reform studied is the so-called “bedroom tax”. The results suggest that households exposed to this tax shifted towards supporting UKIP, and experienced economic grievances as they fell behind with their rent payments due to the cut. Indeed, dissatisfaction with political institutions as a whole increased following such cuts, with affected individuals being more likely to think that their vote is “unlikely to make a difference” and that “public officials do not care” about them. In other words, by curtailing the welfare state, austerity has likely activated a broad range of existing economic grievances that have developed over a long period. Identifying and quantifying the relative contributions of different factors that cause the underlying economic grievances, especially among the low-skilled, is an active field of research. For example, Colantone and Stanig suggest that trade integration with low income countries, by intensifying competition, has hurt manufacturing goods producing areas in the UK, which is why voters in these areas have been more likely to support Leave. Similar evidence, linking economic hardship due to trade-integration to populist or extreme voting is being documented in the context of the US and Germany. Similarly, evidence is compounding that some forms of immigration do have small, but detectable effects on labour markets by curtailing wage growth at the bottom end of the wage distribution. There is also some evidence suggesting that automation, by reducing demand for low-skilled workers, can also suppress wage growth among the low-skilled. In the historical context, this type of (manual) labour-saving technological progress has been linked to political unrest. 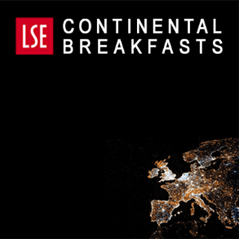 The rise of the gig-economy, zero-hours contracts etc. may also push people to become reliant on the welfare state to top up salaries. Each of these factors are likely to exacerbate the economic cleavages between the well-educated and the rest – a phenomenon often referred to as the growing skill-bias (see here or here) in labour markets. The natural implication is well known to economists – trade integration (or globalization) and the welfare state are complements. In order to maintain continued public support for globalization, policy needs to deliver solutions for globalization’s losers. This can take the form of continued investment in education, training and designing a welfare system that can help individuals transition into new jobs. 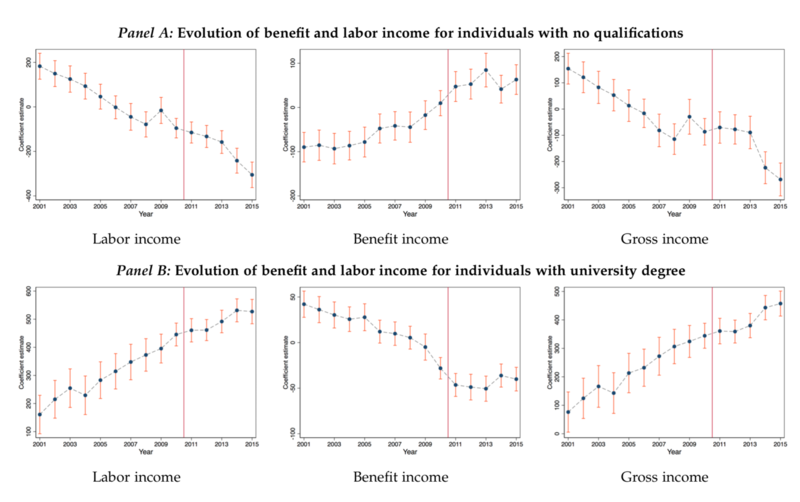 Figure 3 Trends in Labour, Benefit and Gross incomes for individuals with no formal qualifications compared to those with at least a university degree. The figures are constructed using data from the BHPS and the USOC for those who are non-retired. We remove local-authority district by time effects as well as individual level fixed effects. The paper shows that the UK welfare state seems to have been responsive (in some part) up to 2010, when austerity started to have an effect. This is illustrated in Figure 3. From 2001 to 2010, the UK had expanded benefit payments to those who became increasingly worse off as their labour incomes were declining relative to the rest of the population (left panel and central panel in the top row). As a result, their relative decline in gross incomes was halted. Yet, from 2010 onwards, the growth in benefit incomes came to a halt as austerity started to take effect, which the paper argues lies at the heart of the shift in public support towards UKIP, whose raison d’etre was Britain’s exit from the EU. The above draws on the author’s longer paper on the topic and first appeared on LSE British Politics and Policy. 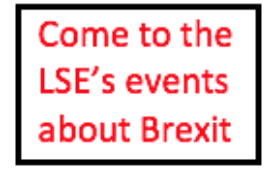 It gives the views of the author(s), and not the position of LSE Brexit, nor of the London School of Economics and Political Science. 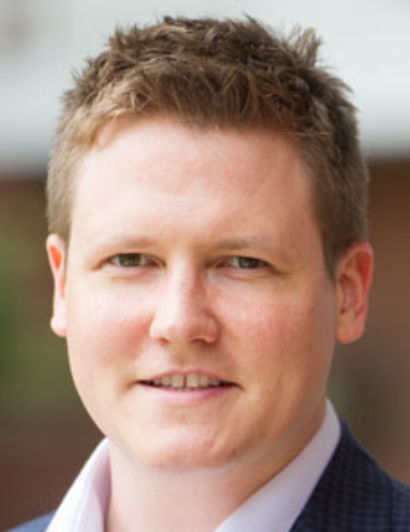 Thiemo Fetzer is an Associate Professor in the Economics department at the University of Warwick.